Raise is a super cute simulation game where you are given a bluish magical pet. You need to take care of by feeding and cleaning him and share your love with him by interacting with him with various virtual objects.. Of course what makes Raise such a unique experience is that you play it an augmented reality, so the pet actually lives in the same space alongside you and go with you wherever you go. Oh, also need to make sure that monsters who won't hurt him and all will be fine. 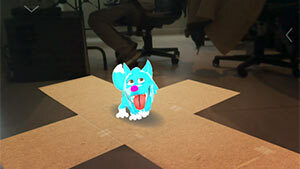 A pet raising augmented reality simulation game was probably the first game that I thought about when I first heard about AR for gaming. Raise is exactly that type of game. When you launch the game, you receive a charming magical pet when you first open the box. Following the trailer, it looks like you can also name your new pet as well by tapping on the box and choose a name for it. 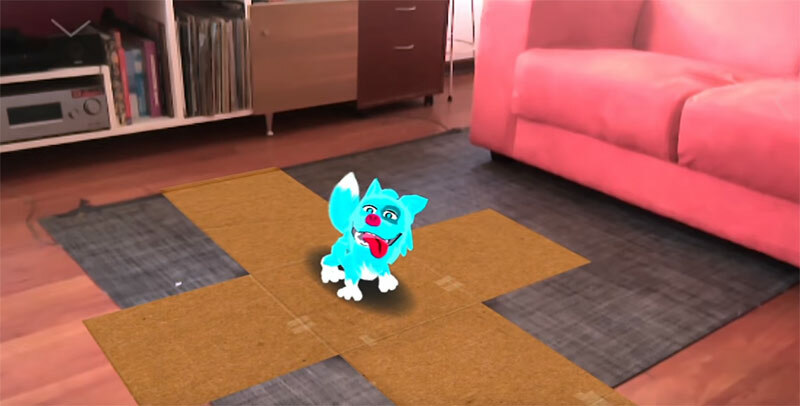 That's it, your cute little fox-dog-like pet is alive and will now virtually live and interact with your physical space in augmented reality. Getting this cute little pet as a gift doesn't mean that your job is over, it's now up to you to make sure your pet is happy and taken care of all his needs. You are given various toys in which your pet can interact with as well as some essential objects like a toilet, a bowl of food, which are necessary to make sure your pet is healthy and entertained. All those objects are available from the ship. You just click the appropriate category and drag the object from the shop into the screen, and those objects will be placed virtually within your physical space, and you can observe both your pet, objects and interact with them using your Google Tango-enabled Android phone or tablet mobile device. For example, you can throw the ball and see how your pet runs and get it for you. You can grab the food bowl and put it on the floor and drag some delicious food bones so your pet can eat and become stronger. There are various objectives that will need your attention from time to time, and there are bars at the top of the screen for each one. This includes making sure your pet gets a nap from time to time to gain strength, feeding him, showing your affection and love, play with him and making sure it does his needs in the toilet. From what I can tell, you need to make sure that those bars don't reach the bottom. There are also hazards which you need to eliminate, like killing fleas from our imaginary little friend, eliminating scary monsters that can appear in any place where you are and attack your pet. You pet is equipped with supernatural abilities like Canon Ball, Super Bark, Akum and Wave (that's why it's a magical pet), which you can use to attack and defeat the monsters. You gain experience points for successfully defeating monsters and your pet can go up in the level ranking. I really love the combination of raising a pet and also be able to play mini-games with him. I've spent some time reading more about this game on IguanaBee Facebook page, and there they mentioned that the used hundreds of animations for the game. I think that's what makes the game so fun and engaging, the animations really brings this amazingly cute domestic pet to life and are very cute to watch. It seems to me that the game Raise inspired by the same Pokémon-Amie feature used in Pokémon X and Y and other Pokémon games in the franchise, that were designed to develop a stronger bond between the player and their virtual pet, including interacting with the pet a touchscreen. In Pokémon Raising for example (for iOS and Android), you build a long-term relationship with your favorite Pokémon, raising and upgrading his strength, thus increasing his Flavor level and stats and take him through various activities to earn food to feed him. 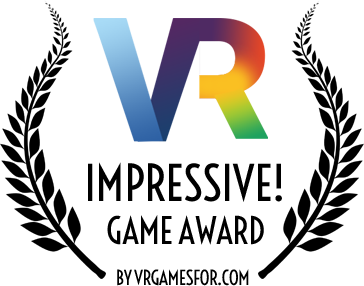 The same works in Raise, but now in augmented reality, this petting experience feels much more alive because your pet lives in your home and can interact with the physical objects in it. This is what makes the AR technology so immersive for games. It doesn't matter if you are a kid or a mature gamer, I'm sure you'll definitely enjoy playing any games as you start to discover and experience this new media's capabilities of creating entertainment in a new way that wasn't possible prior to augmented reality. As I mentioned before, this is exactly the type of game I was hoping to see coming to Google Tango. Raise is cute, adorable and takes advantage of some of the cool features that make AR such an amazing technology for gaming — I'm just loving it!